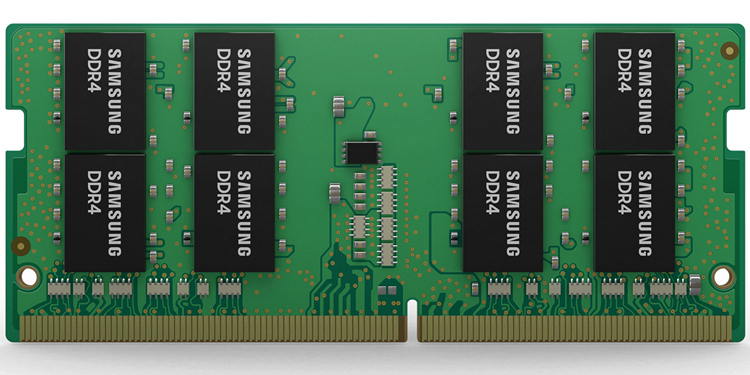 Samsung has announced that it has started making the industry’s first 32GB DDR4 memory modules (SoDIMM) for high-performance gaming laptops. Based on the 10nm-class process technology, the new SoDIMMs will allow users to enjoy enriched PC-grade computer games on the go, with significantly more capacity, higher speeds, and lower energy consumption. The new modules are expected to allow PC OEMs to build faster top-of-the-line gaming-oriented laptops with longer battery life. Samsung claims that devices with the new memory sticks can even potentially have higher performance capacities than conventional mobile workstations while maintaining existing PC configurations. 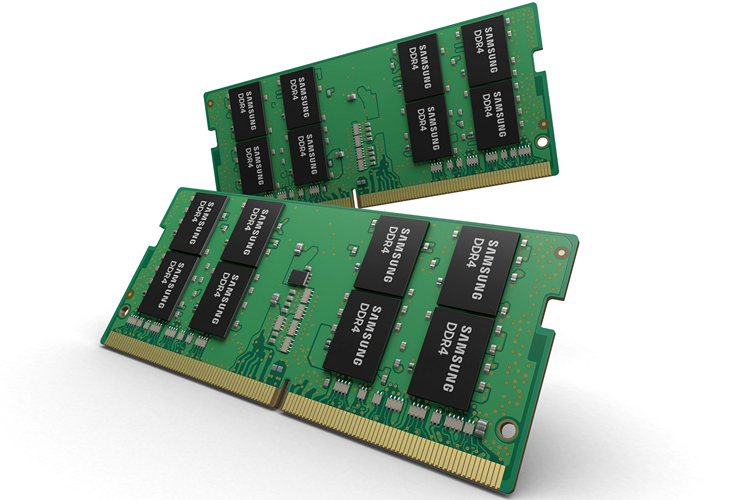 According to the company, the new memory modules are around 11 percent faster and about 39 percent more energy-efficient than their predecessors – the 16GB SoDIMM modules that were launched back in 2014, and was based on 20nm-class 8-gigabit (Gb) DDR4 technology. The company further says that, the 32GB SoDIMM will allow PCs to reach speeds of up to 2,666 Mbps. In a written statement, Samsung’s senior vice president of memory marketing, Sewon Chun, promised to bring more new technologies to the market across categories. Samsung also claims some impressive energy efficiency numbers for its latest memory modules. According to the company, a laptop configured with 2x 32GB DDR4 modules will consume less than 4.6W in active mode and less than 1.4W when idle, thereby reducing overall power usage by around 39 percent and 25 percent, respectively, when compared to some of today’s gaming laptops that only ship with 16GB modules. Samsung is mostly known among the mainstream population as one of the global leaders of the consumer electronics industry, but it also happens to be the largest semiconductor manufacturer ahead of the likes of Intel and Qualcomm. The South Korean tech giant surpassed Intel last year to claim the number one spot, but unlike Intel, a large chunk of its chip business comes from the DRAM and NAND Flash segments.